Where do I find my closed job ads? When you log into your dashboard click on 'Closed' on the left hand navigation and you'll see your closed job ads along with everyone who applied for it. Ready to hire for the same position? 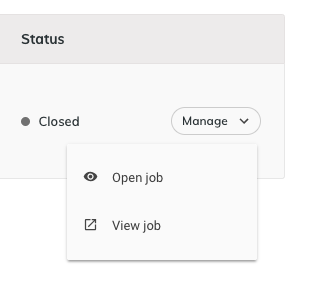 Click on 'Manage' to the right of any closed job ad and you will be able to reopen the job or view the ad content.